AMMONNEWS - - A liquefied natural gas (LNG) port worth USD 65.5 million funded by Kuwait is among the most superlative projects the Gulf state has undertaken in Jordan, with the aim of providing Amman with diverse energy sources. As a testament to the camaraderie both nations have long enjoyed, Jordan's king Abdullah II has christened the gas terminal, which has increased the Hashemite Kingdom's dependence on gas for electric power by 90 percent, after Kuwait's leader His Highness the Amir Sheikh Sabah Al-Ahmad Al-Jaber Al-Sabah. 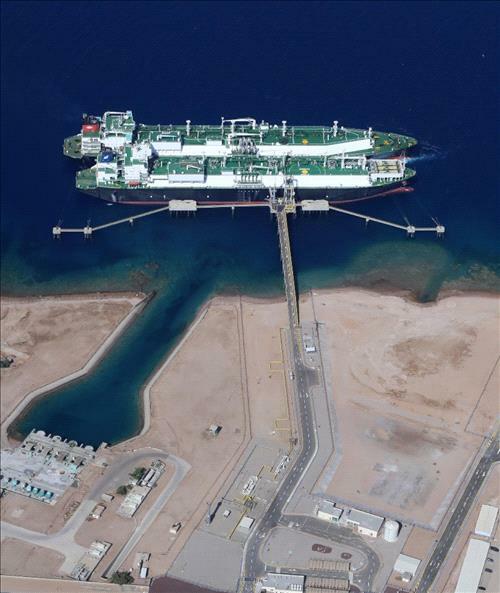 The gas port, located in the Jordanian city of Aqaba south of the capital Amman, has been instrumental in transforming the coastal metropolis into a regional energy hub. dividends three years after its inception, helping inject new growth into Jordan's ailing economy. which have already been consumed, which is equivalent to 328 million cubic feet per day. Aqba Development Corporation's chief officer emphasized. The port has not only ensured adequate natural gas supply in Jordan, but also allowed Egypt to import its fair share as well through the two countries' maritime border, he added. given the fact that global demand for electricity has soared in recent years. measuring 390 meters in length, built with the highest standards of quality and environmental efficiency. Meanwhile, the gas plant is the by-product of USD five billion worth of financial aid that Gulf States have set aside for Amman, with Kuwait providing a share of USD 1.250 billion.